Our products and user databases are held by TSOHOST (https://www.tsohost.com) from whom we purchase I.T. servers and services. Servers are located within the UK. Regular data and database backups are included in their hosting service. Whilst Onclick manages this learning management system (LMS) to support your learning, your data may be accessed by yourself and/or your local authority or NHS region you work within. You and/or your local authority or NHS region are responsible for the accuracy of any personal data held and reserve the right to amend or delete this data, as and when this data is no longer required. All our learning management sites and databases are continuously monitored by SUCURI (https://sucuri.net) for virus and malware protection, and data corruption etc. Their service includes the repair, recovery and removal of any intrusion. In most cases your personal data will have been entered by yourself, your local authority or NHS region. Only when requested will Onclick add or amend information for you. 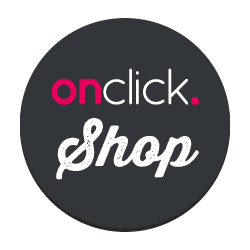 This information is only used to provide you with access to the online courses at https://shop.onclick.co.uk. Statistical information about usage of the site is also used to improve the platform and services provided. Your local authority or NHS region may request that they also have access to reports generated from this data for monitoring. Onclick Ltd manages this learning management system, and the user data is shared with your local authority or NHS region only. TSOHOST is the hosting company for your data and will have full access to the account for administration and support purposes, they have strict data compliance rules and are legally bound to not share your information or make any change to your site content without suitable request from a listed account owner. Your personal data is stored for as long as you continue to be a registered user on the site. Onclick will not remove or amend any data without the authorisation from yourself, your local authority or NHS region. However, you have the right to request that the accuracy of any data held is kept up to date, or deleted by contacting your employer.